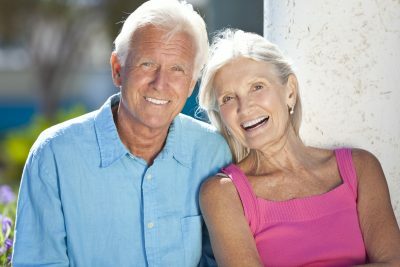 Dental Implants in Reston, VA | Are You a Good Candidate? When you’ve lost one or more teeth, there are several options to replacing them, including bridges, dentures and dental implants. But not all solutions suit all people. You need to know whether you are a candidate for a dental implant. • There must be enough jawbone and gum tissue to support an implant structure, otherwise, the implant could come loose or even fall out. • The patient’s dental health must be good, and devoid of tooth decay and periodontal disease. This will give your implant a better success rate. • The candidate must be willing to perform proper dental care, such as daily brushing and flossing. • The patient must have a full understanding of how the implant process works, as it is not a one-visit fix. It can take weeks or even months to complete an implant process. As each step is performed, time must be allowed for the healing process. Who is NOT a Good Dental Implant Candidate? • Smoking and heavy alcohol use, as these impede the flow of blood to the jaw, gums and supporting tissue. • Medical conditions including anemia, immunodeficiency disorders, uncontrolled diabetes or hemophilia. • Certain medical prescriptions including steroids or drugs that suppress the immune system. • Teeth grinding, as this can crack, break or damage an implant. A mouth guard worn while sleeping can protect an implant from grinding (bruxism). • Pregnancy. For the safety of mother and child, we recommend that women refrain from having dental surgery until after their baby is born. • Age. We do not advise young children or teens to get a dental implant as they are still growing and their bodies are changing. Other solutions can be put into place until the child matures into adulthood. The key factor in determining whether you are a good candidate is a professional evaluation by a dental implant specialist, a periodontist or an oral surgeon. These are the people who will be essential in placing the implant. After the implant is in place, a restorative dentist (and it could be the same person) will create a crown that the implant will support. You can expect your implant specialist to do a thorough examination, including x-rays of your mouth. They may even want to do a computed tomography (CT) scan to discover the condition and amount of bone in the jaw and the layout of nerves and sinuses. Your implant specialist will then speak with you about your options and their associated costs, and together you can decide on a treatment plan. At Advanced Family Dentistry, Dr. Sonny Kim specializes in dental implants and will gladly meet with you for a free implant consultation to see if you are a candidate. We are located in Reston, Virginia to serve families throughout Northern Virginia. Please contact our office today. Dr. Kim is a Diplomat of The International Congress of Oral Implantologists (ICOI) – Diplomat credential is highest education level for general dentist in the field.